We met our good friends Art and Marylin Burger in Bad Gastein on the north side of the Obervellach Alps above the Mura River headwaters. This beautiful region of the Austrian Alps was in full fall color in late September. 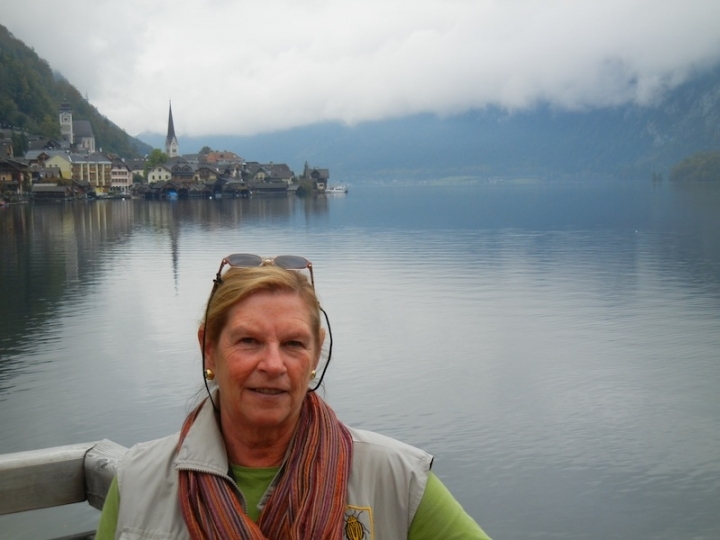 Ann is on the shore at Hallstatt, one of Austria's most beautiful regions with a rich heritage from the Bronze Age 1300 BC. We visited Salzburg, Bad Ischl, and Linz along the Donau to Melk and Durnstein. Then we drove past Wien and south to Graz and into Slovenia at Maribor.